CONCORD, N.H. (AP) — Edward Geddes already had spent two long days on the mountain when the weather turned. Battered by wind and soaked by rain — "like shower baths of ice water" — he clung to a rope and pressed on, even after the rain turned to ice that coated his clothing and left two of his fingers crooked for the rest of his life. 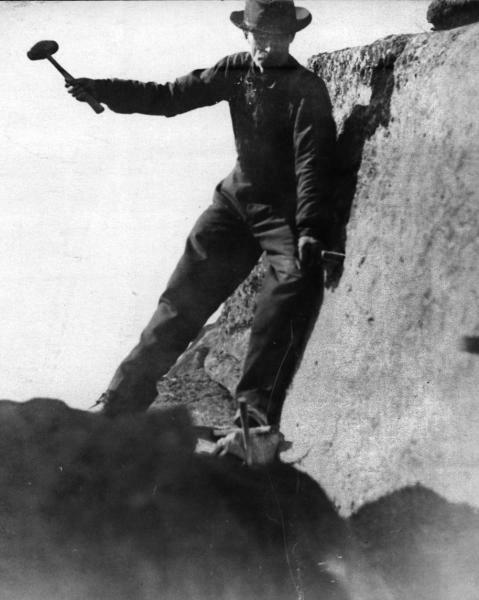 It was 1916, and the crew assigned to help Geddes rescue New Hampshire's Old Man of the Mountain had given up. 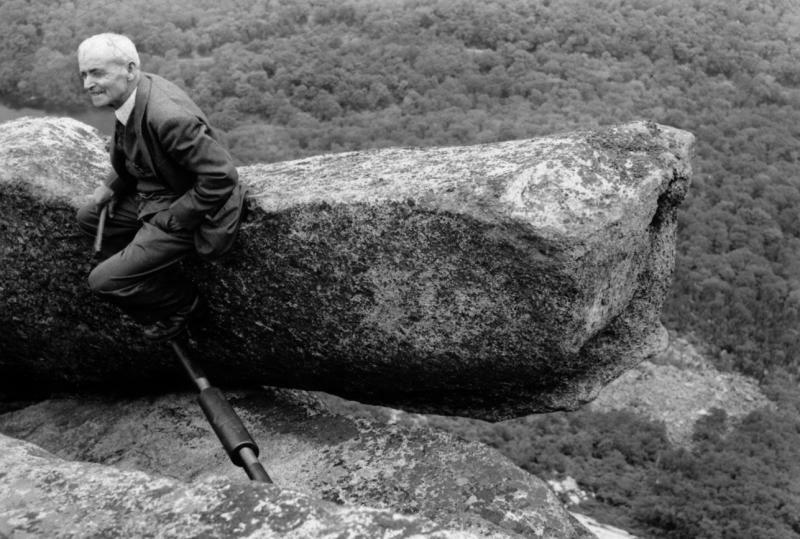 But Geddes continued the work alone, drilling 11-inch holes into the granite and installing turnbuckles and rods to hold the ledges in place. "When the men Col. Greenleaf had hired to help me all deserted, I did not intend to be beaten. I leave it to you to judge whether I had time to play or not," he wrote when the work was complete. Thanks to Geddes' efforts and those of others who followed, the 40-foot-tall natural rock formation that resembled an old man's face remained suspended 1,200 feet above Franconia Notch until May 3, 2003, when it smashed to the ground. Over the years, it became the state's most recognizable symbol — the Legislature adopted it as the state emblem in 1945, and it still appears on the state quarter, highway signs, license plates and countless souvenirs. "He was very focused, very wiry, and he was fearless," Geddes said of his great-uncle. "He suffered, and he prevailed." Geddes, who lives in Boston, visited the Old Man many times growing up and as an adult. And while his first thought was always how proud he was that "someone in our family actually did that," he also understood what drew countless others to the site. "It became a symbol of something. It had a magical, spiritual quality," he said. 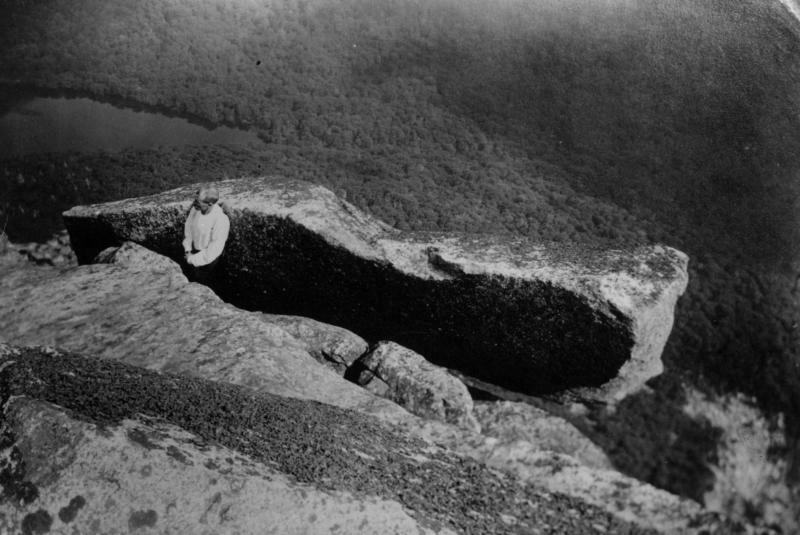 Although no one knows how old the Old Man of Mountain was before it fell, several groups of surveyors working in the Franconia Notch area took credit for discovering it in 1805. It quickly became a popular tourist attraction and inspired many works of art and literature. Statesman Daniel Webster compared it to the signs hung outside shops to indicate specific trades: "Shoe makers hang out a gigantic shoe; jewelers a monster watch, and the dentist hangs out a gold tooth; but up in the Mountains of New Hampshire, God Almighty has hung out a sign to show that there he makes men." "I came to the conclusion that the words of Daniel Webster should be extended to read that once in a while New Hampshire as well as producing men produces a few 'liars,'" he said, according to an article published in the Quincy Patriot Ledger at the time. At a Concord playground Thursday, 8-year-old Alexis Tramontozzi of Goffstown paused for a moment when asked if she had ever heard of the Old Man of the Mountain before replying with a definite "no." Her grandmother, Eloise Frank, said her family always stopped to see the Old Man when they took vacations in the White Mountains when she was a child, but she is unlikely to ever visit the memorial site. "I think it should stay," she said. "What would you change it into?" "The morning I heard he fell, I went straight there," he said. "I needed to do it. It was in my family."